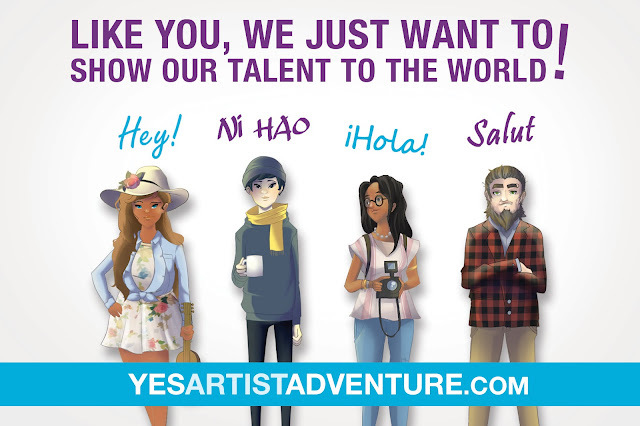 YES Artist Adventure, a ‘Serious Game’ created by Carnegie Mellon University Entertainment Technology Center that teaches artists how to optimize their professional websites in terms of personal branding, online marketing and e-commerce, has won bronze honors in the 2018 International Serious Play Awards competition in Corporate category. 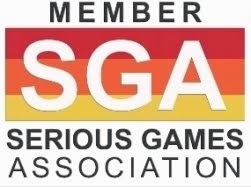 The funding partner for this game, YES, is a not-for-profit organization based in Montreal which has helped Quebec-residents to find employment as well as to start and grow their businesses for over 20 years. 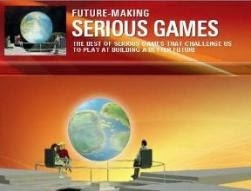 In the game, players have to help four different artists, Aylen, Jimmy, Luisa and Gilles, to improve their websites. They’re talented artists but they’re not marketing themselves online as effectively as they could. The ‘Serious Game’ proposition is that you will help the artists fix their websites, and increase your knowledge of e-Commerce, Personal Branding and Online Marketing at the same time. 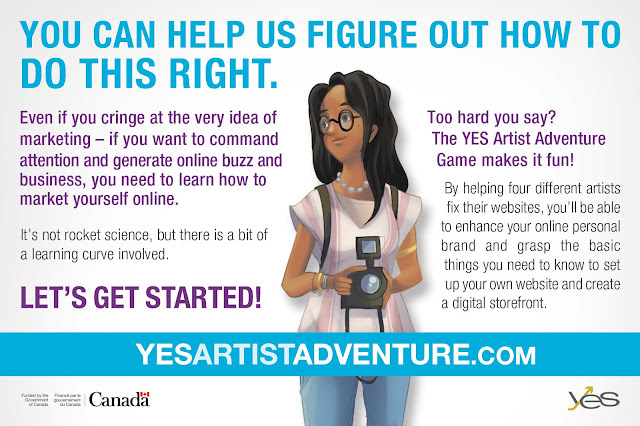 The Yes website offers are a few pointers to help you get the most out of the YES Artist Adventure, enhance your online personal brand and grasp the basic things you need to know to set up your own website and create a digital storefront. Video tutorials are available and they cover all the things you need to know before playing – you’ll be able to watch the video tutorials from within the game. In the LEARN section of the game, the player can read through several texts to improve their knowledge of online marketing for artists. These texts also correspond to quizzes in the PLAY section, which help the player to complete their learning. You can also download these documents for free.